Making Thanksgiving dinner is such a treat for many cooks. It's the perfect time to show off some new and exciting foods, and stretch our cooking skills a bit. 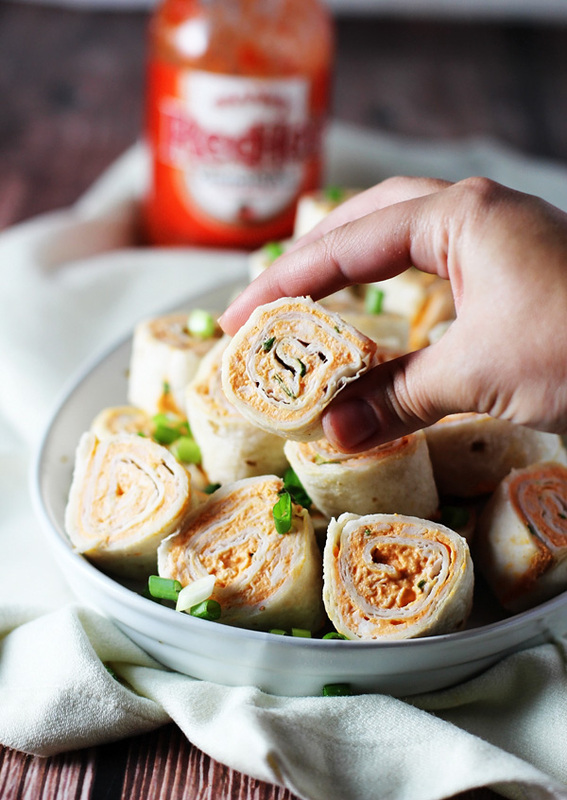 We at Foodista are always looking for new twists on simply delicious foods. We have found a list of appetizers that are just familiar enough to be welcome by everyone, but definitely fresh and new in the way that they are put together. Check out some of these tasty treats, and see if you can't serve up something exciting this Thanksgiving. Rich and satisfying, roasted beets have become transformed into a creamy new dip. It's bright and fresh-perfect for your appetizer table. Try it with good bread, vegetables and just about anything you want to add a touch of flavor on. So good! Not all crostinis are savory. 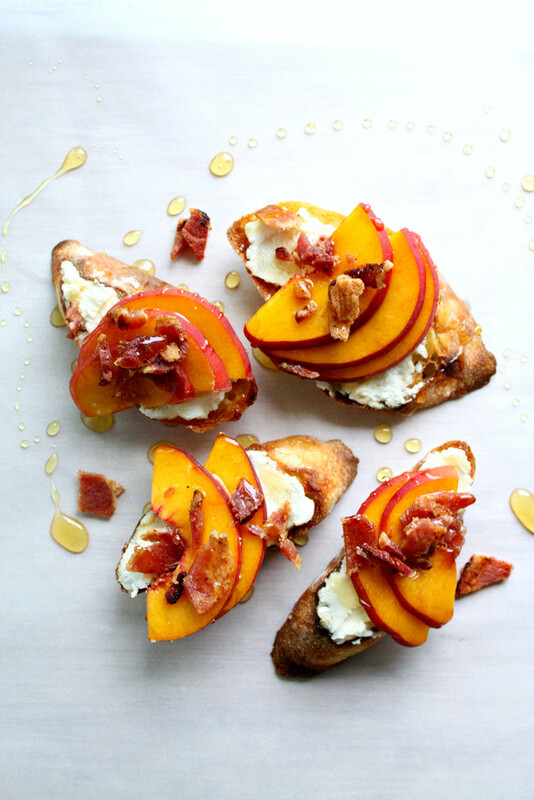 These are delightful and sweet with the fresh peach slices and drizzled with honey and sprinkled with a bit of crunchy, salty bacon. They are an amazing trifecta of flavors. What is a party without a fabulous dip? This one is savory and creamy, totally packed with flavor. 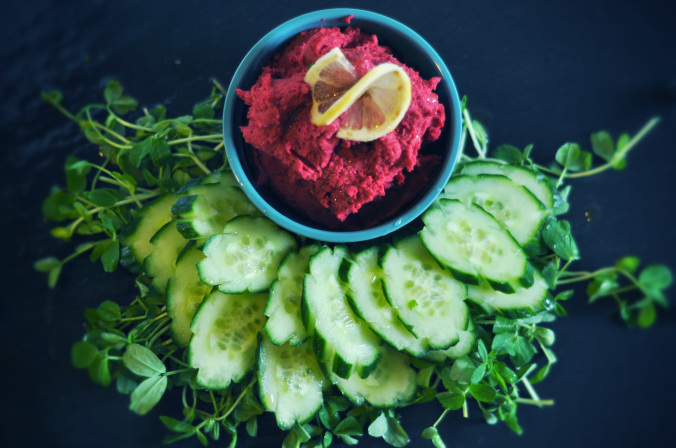 You will want to nibble this dip spread on everything from veggies to slices of crusty bread. This recipe has quite a bit going for it. First, it uses only 5 ingredients. That makes it super quick and easy to whip up on a busy Thanksgiving morning. Second, the flavor just pops! When you are enjoying appetizers, sometimes having a bright, spicy bite can wake up your tastebuds. 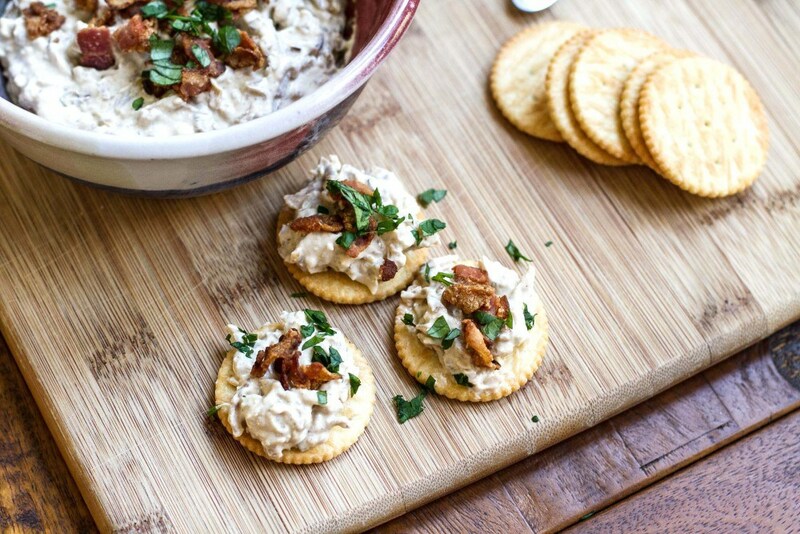 This is one appetizer that might not make it from the kitchen to table, it's that delicious! 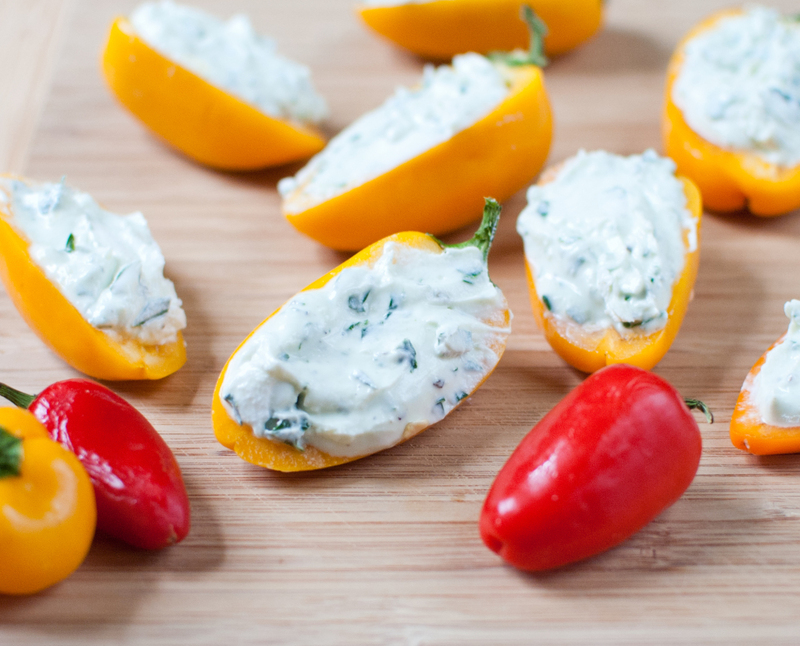 Tiny sweet peppers are stuffed with a warm, fragrant goat cheese filling. They are served warm or at room temperature, so they are also easy to serve at any time. So tasty! We prefer them at room temperature and just eaten with the fingers. Good stuff!